Norm’s Farms Elderberry Extract is made from farm-fresh North American native elderberries (not from European concentrate). A gentle water process is used to extract the elderberry and remove the seeds before its bottled. 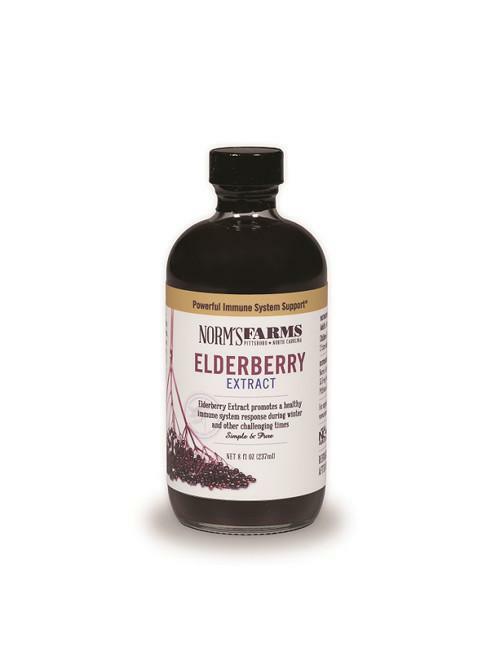 Norm’s Farms Elderberry Extract tastes great, like a dry red wine: it’s not sweet, and it’s not bitter. You won’t find any added alcohol, sugars, artificial sweeteners or ingredients in this product. Elderberry contains higher levels of antioxidants than blueberry, sweet cherry, tart cherry, acai, noni, goji, pomegranate and cranberry juices. 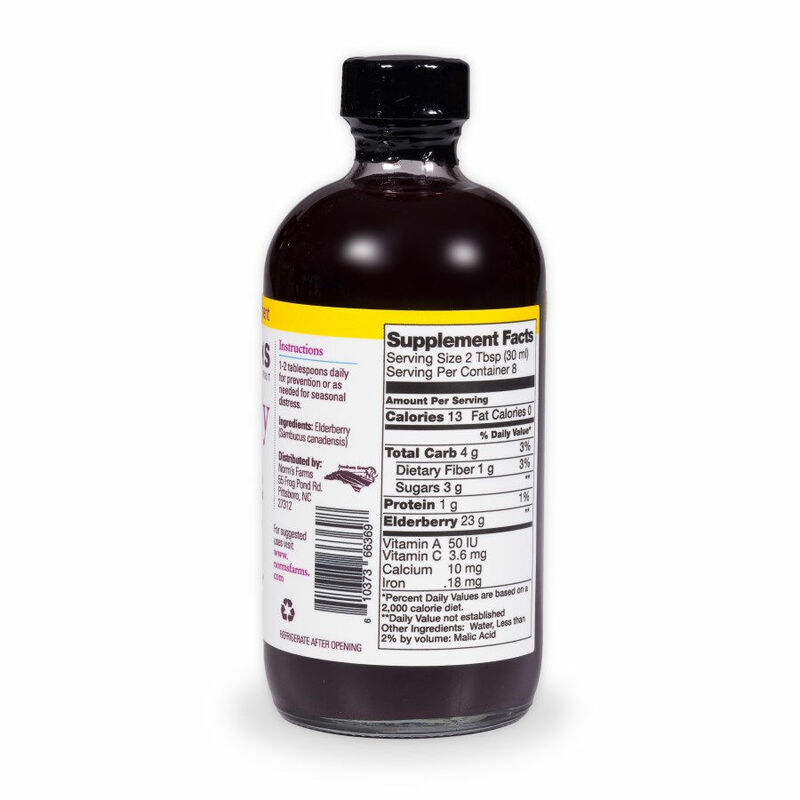 Elderberry Extract is bottled in 8 Fl oz. recyclable glass bottles, so you don’t have to worry about plastic chemicals leaching into the product and also because glass is a great sustainable option for bottling. Please do not take more than suggested, since it works as a natural laxative as well. Ingredients: Elderberry, water,* malic acid** (less than .03% by volume) *Water is a listed ingredient because of the water extract method we use. We use that method because it's the simplest, cleanest, purest way to extract juice from an elderberry. The elderberry seeds inside the elderberry prevent us from using a press method to extract the juice because the seeds clog up and shut down the press. Other extract methods that were available to us but we rejected include a steam method (which requires heating the berries to 400 degrees), or using alcohol or some other chemical to pull the juice out of the berries. **Made from apples.